Ikea’s plans to use mushroom-derived packaging have made headlines last week. 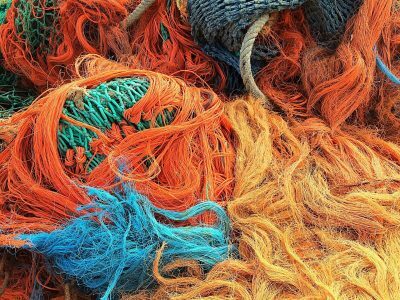 The company is only one among several large retailers and e-commerce stores including Dell and Crate & Barrel that are looking for ways to reduce waste and toxins resulting from packaging. 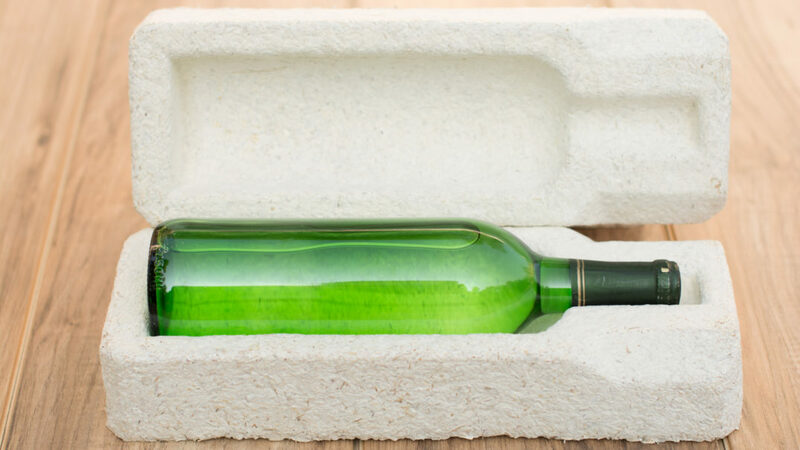 The company supplying a biodegradable Styrofoam substitute to several Fortune 500 companies is Ecovative, a firm based in New York. Ikea’s plans to use mushroom-derived packaging have made headlines last week. 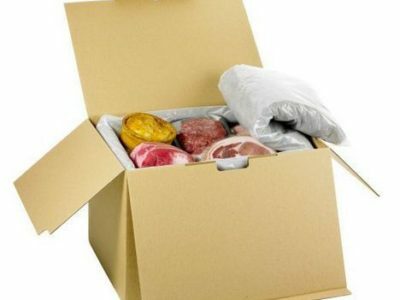 The company is only one among several large retailers and e-commerce stores including Dell and Crate & Barrel that are looking for ways to reduce waste and toxins resulting from packaging. The company supplying a biodegradable Styrofoam substitute to several Fortune 500 companies is Ecovative, a firm based in Green Island, New York. Eben Bayer and Gavin McIntyre developed the idea for Ecovative a decade ago at Rensselaer Polytechnic Institute as part of their coursework for a class called ‘Inventor’s Studio’. “We both wanted to start a business, we both wanted to do something that would have a positive impact for our planet,” said Bayer in an interview. Their goal was to create an insulation material using agricultural waste and the mushroom mycelium. Bayer received a dual degree in mechanical engineering and innovation design but the aha-moment for the new kind of packaging was, at least to some degree, inspired by his growing up on the family farm in central Vermont where he noticed the power and versatility of the fungus root mycelium. 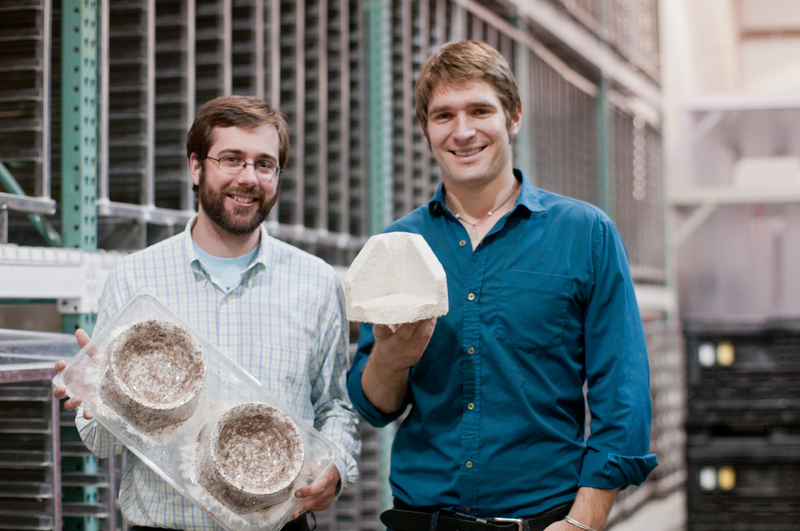 In 2009, after a three-year-period of trial and error, Ecovative succeeded in creating Mushroom packaging, a cost-competitive alternative to Styrofoam (polystyrene). 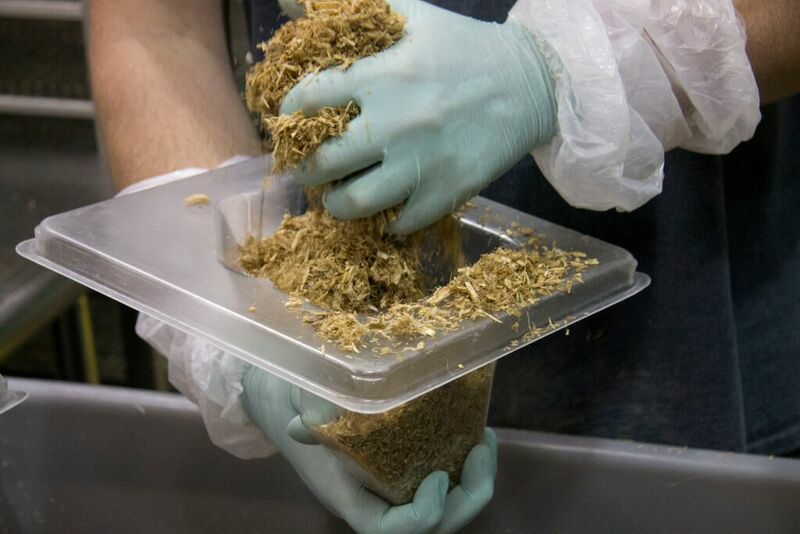 The Mushroom packaging is produced using mycelium cells, which transform crop waste such as corn stalks or rice hulls into composites in a matter of days. In contrast, polystyrene is made from oil, a limited resource, in an energy-consuming process. It takes a long time to degrade, whereas Mushroom packaging can be composted. The company has won several awards for their invention and made it onto the 2015 Forbes ‘30 Under 30’ list of top young innovators in the category of Manufacturing and Industry. The financing comes not only from grants and U.S. government agencies but also from commercial partners such as 3M. To expand production, the technology is now licensed to packaging producer SealedAir. 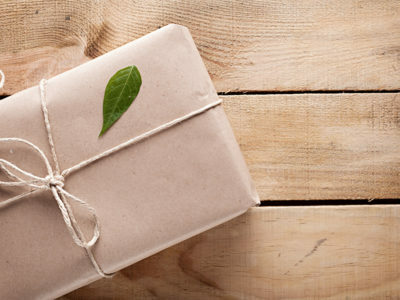 While it has been successful with packaging, Ecovative is looking for additional opportunities to replace potentially harmful or unsustainable products with mushroom-derived materials. Just a few weeks ago, the company secured 4 million USD in additional funding to expand its line of natural wood products called MycoBoard, an alternative to plywood and other products used in office furniture and building materials. Bayer, McIntire and their team are also working on a flexible material called MycoFlex that is made entirely of mycelium.